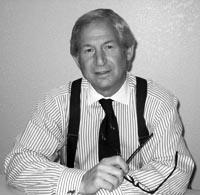 Raymond C. Kubacki is Chairman of the Board, President and Chief Executive Officer of Psychemedics Corporation (PMD:NASDAQ), the world's largest provider of drugs of abuse testing using hair analysis. Mr. Kubacki joined Psychemedics Corporation as President and CEO in 1991 and has built the Company from a money-losing start-up to a profitable, dividend-paying, NASDAQ-listed company. He has directed the Company's growth that now includes thousands of corporate clients nationwide including over 10% of the Fortune 500 companies. Additionally, he successfully guided the Company through the FDA clearance process. As the leading spokesman for his industry, Mr. Kubacki has appeared on numerous national television and radio programs including "Good Morning America", "The Today Show", the "CBS Morning Show", "Lou Dobbs on CNN", "CNBC's Power Lunch", and others. He has also testified before a number of U.S. Congressional committees. Prior to joining Psychemedics, Mr. Kubacki held a number of senior management positions in finance, marketing and manufacturing with Reliance Electric Company and Acme-Cleveland Corporation. He spent eight years as an investment officer at Massachusetts Financial Services Company, a major mutual fund and investment management firm. From March 2011 to June 2016, Mr. Kubacki served on the Board of Directors of Integrated Environmental Technologies, Ltd. (IEVM), a life sciences-focused technology company that commercializes innovative technologies which are focused on the environment and health and safety. He was chair of the audit committee and its designated "audit committee financial expert," and also a member of the compensation, and nominating and corporate governance committees. From April 2007 until the company's successful sale in June 2010, Mr. Kubacki served on the Board of Directors of Protection One, Inc. (PONE), a leading national provider of security alarm monitoring services, where he was a member of the audit committee and the designated "audit committee financial expert." From June 2004, Mr. Kubacki served as a director of Integrated Alarm Services Group, Inc. (IASG) until its merger into Protection One, Inc. in April 2007. He was a member of IASG's audit, independent, governance and nominating, and compensation committees. From September 2007, Mr. Kubacki served on the Board of Directors of Centaurus Pharmaceuticals, Inc., a privately-held development stage company located in Cambridge, Mass., until the company's sale in January 2008. Mr. Kubacki also serves on the Board of Trustees of the Center for Excellence in Education, a non-profit organization founded by the late Admiral H.G Rickover and dedicated to nurturing careers of excellence and leadership in science and technology for academically talented high school and college students. For 4 years in a row (2007-2010), Mr. Kubacki was named one of the Best CEOs in the nation, according to a study by DeMarche Associates, Inc., a leading investment research and financial consulting firm also known for its annual Best 100 Companies and 100 Most Improved Companies awards. This award goes to a small group of American CEOs--- in 2007, 163 or less than 2.5 percent out of a potential field of 6,700--- who over the last 3 years generated the most shareholder value per unit of CEO compensation. Mr. Kubacki holds an Executive Masters Professional Director Certification, the highest level award, from the American College of Corporate Directors, a public company director education and credentialing organization. Mr. Kubacki received his B.A. from Harvard College and his M.B.A from Harvard Business School.